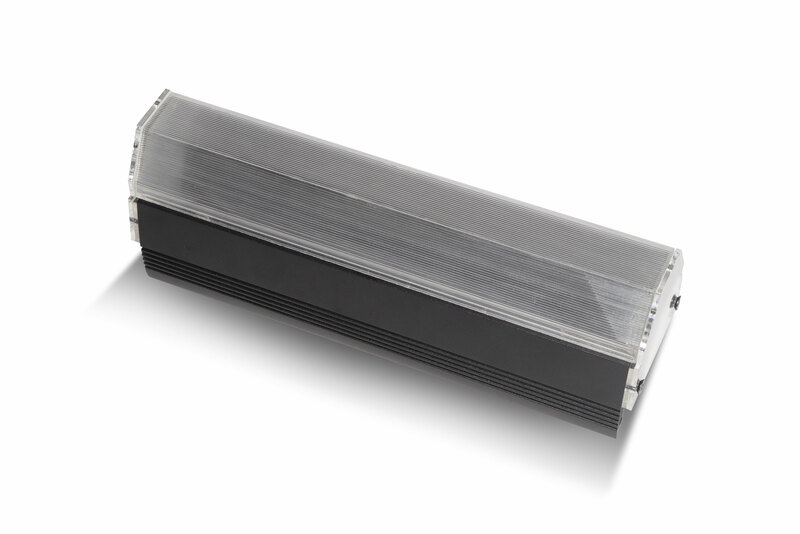 As an industry, we are fascinated by the performance of our new luminaires and are driven to improve their brightness, colour and efficiency. These are ‘night-time pursuits’ and due to the structure of the LED industry, only small gains can be made. So we have taken a new and critical focus — the pursuit of large gains that can be achieved in daylight. We have yet to meet an architect who has said, “Wow I love the look of those light fixtures and I wish I could see more of them on my building”. The reality is that all lighting equipment is a distraction. No matter how beautifully the design of the housing of the luminaire is crafted, it is best if the source of the light was not visible at all. 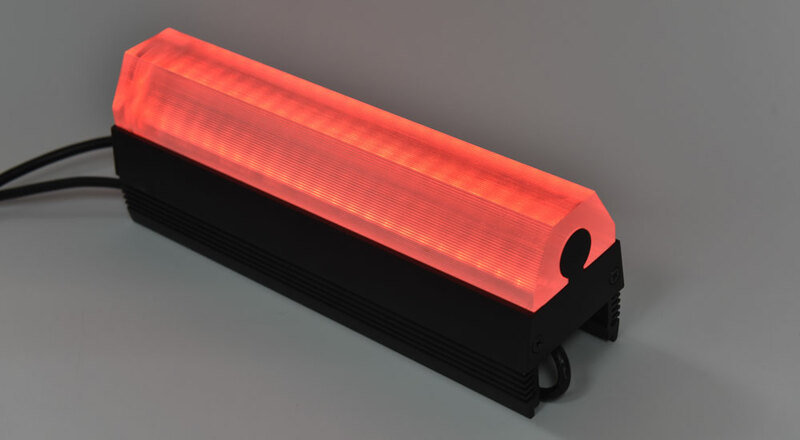 One pervasive genre of LED luminaire poses the greatest challenge in that regard — the diffused linear LED product that is designed to be viewed directly. How can you hide something that must be in the line of sight of the viewer? 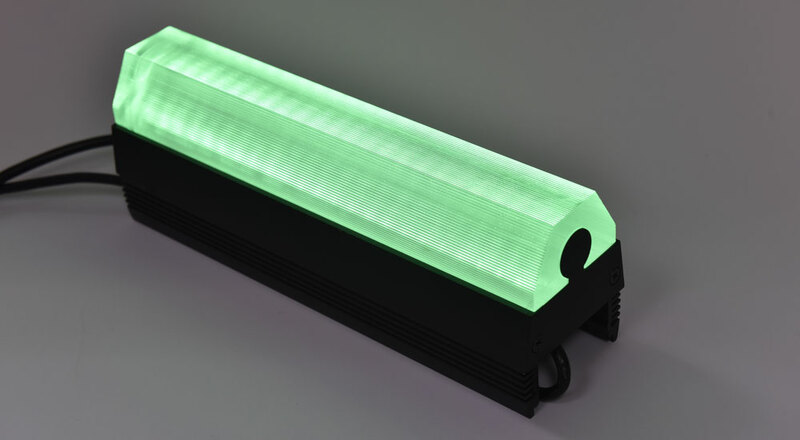 Hundreds of different brands and models exist, all different in some technical detail yet all bound by the same basic physics whereby a diffused polycarbonate tube is used to house a string of LEDs that make it glow. Integration into architecture is attempted; a simple idea stolen from neon history where lines of light are used to follow the form of the building. In daylight, the effect is the opposite. No longer a highlight, the lighting equipment is revealed most often as a visual liability, round in section when all around are only hard angles — segments of spaghetti against a dark glass façade. illumination Physics has an answer. 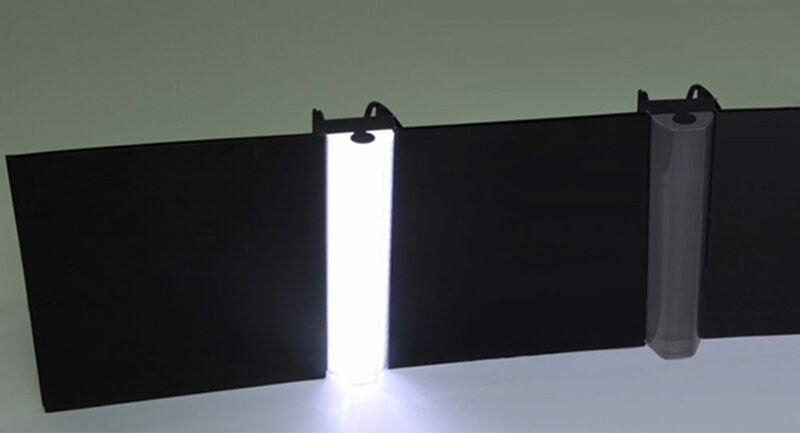 A linear, direct view luminaire that all but disappears when it is not turned on in daylight. “Stealth”. Only the solid lens protrudes outside the building façade. The lens has the form of a clear dark crystal, both transparent and all but unnoticeable against the background structure. The shape of the lens follows the form clues of the building itself, no longer a round strip in a square hole. The photometric efficiency exceeds that of any diffused linear product At night you see it and in the day you don’t. illumination Physics is committed to providing the freedom to paint architecture with light, but without the attendant architectural liabilities.